Recently as I studied through the book of Luke chapter 7, I got an interesting revelation in the story of Jesus, Simon the Pharisee, and the woman who was a sinner (Luke 7:3 6-50). 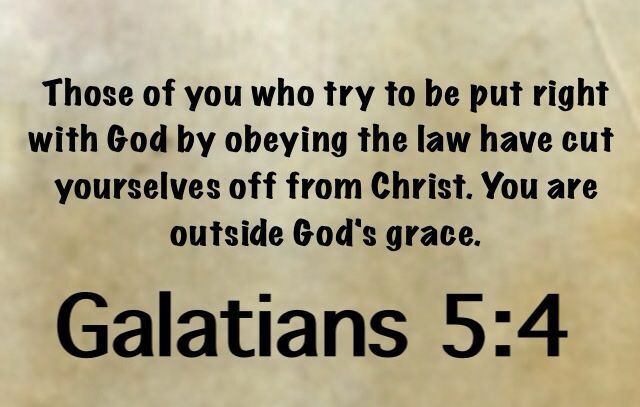 This passage shows clearly that self riotousness, which can be other wise known as obedient to the law of Moses can never make you right with God, but rather faith and love through grace. This passage also describes the two categories of Christians we have today. The first category are those that believe in Christ, and think they are saints, they don’t associate with people from other religion or faith, they see others as sinners, even though they believe in Christ they still doubt Him, and they are quick to judge others. The second category are those who walk personally with God, they accept that they are not perfect, but are continually making effort to be perfect, their appearance is like an unbeliever, but they have a strong faith in Christ. Now, let delve into the passage (Luke 7: 36-50). In this passage, Jesus visited Simon the Pharisee (not Simon Peter the disciple), as he was one of the Pharisees that believed a little that Jesus Christ was the son of God. While Jesus visited him, he didn’t give Jesus attention nor offer Him anything in his home not even water. While Jesus was still in Simon’s home, a woman who was sinner heard that Jesus was there and she also came to meet Jesus in Simon’s house, she sat at Jesus’ feet and showed Jesus some love by wiping Jesus’ feet with her tears and hair, and also added some fragrance to Jesus’ feet. Many Christian today claim to have accepted Christ and believe in Him, but they don’t entertain Christ in their life just like Simon the Pharisee. If you claim to believe in Christ, then you should show Him love by entertaining Him in your life no matter what even in tears, just like the woman did. You should entertain Him by making effort to know Him everyday i.e. giving Him attention. If you love someone you will always spend time with the person. If you don’t oil your faith in Christ everyday, the faith will die off. While the woman was wiping Christ’s feet, Simon then made a doubting statement about Jesus being a prophet, that if Jesus was a prophet then He should know that the woman wiping His feet is a sinner. Simon was a Pharisee who believed in religious law/commandments and sees himself as a saint because he obeys the law, but unfortunately it doesn’t work like that with Christ (Galatians 5: 4-6). Christ responded to Simon that, to whom much is forgiven is whom much love is derived. This means because Simon believes he is not a sinner, this is why he took Christ for granted and didn’t entertain Christ in his home, but the woman admitted to be a sinner, and she gave Christ all her attention and love in order to receive forgiveness through grace. Fortunately, Christ told the woman, go in peace your faith has saved you. Simon had no faith but the woman did had faith and she was saved. It is clear that even if Simon believed in Christ a little, he is still not saved because his own righteousness is through the law not faith. This mean faith comes before righteousness, you can only be saved through righteousness in faith, and not in law. No matter how filthy your sins are, Christ will forgive you and you will be free once you have faith in Him, then you can now continue in the path of righteousness through this faith. Obeying religious law such as keeping the Sabbath day holy, going to church, paying tithe and first fruit and so on can never make you righteous or right with God, but rather faith through love. Now the question is what is this faith we are talking about? It is not the faith you practice in church nor a doctrine or framed state of mind without understanding, this will be another topic I will teach separately. Another question is once save always saved? The answer is NO, this will also be taught separately. Grace of God abide with you.